2017. I caught myself writing that down with an old fashioned pen and paper today and I had a flashback to middle school. When you would have to adjust to writing the new year and it would take a month or so til you got it right. But wow, here we are, another year. Filled with quite a few blog posts. Posts about motherhood (duh), friendships, housing drama & 'me time'. A few other blog friends are doing a 'year in review' and I thought I would join in on the fun and showcase a few of my favorite posts from the past calendar year. BTW this post is accompanied by my favorite family photo of us from March 2016 at a local winery. 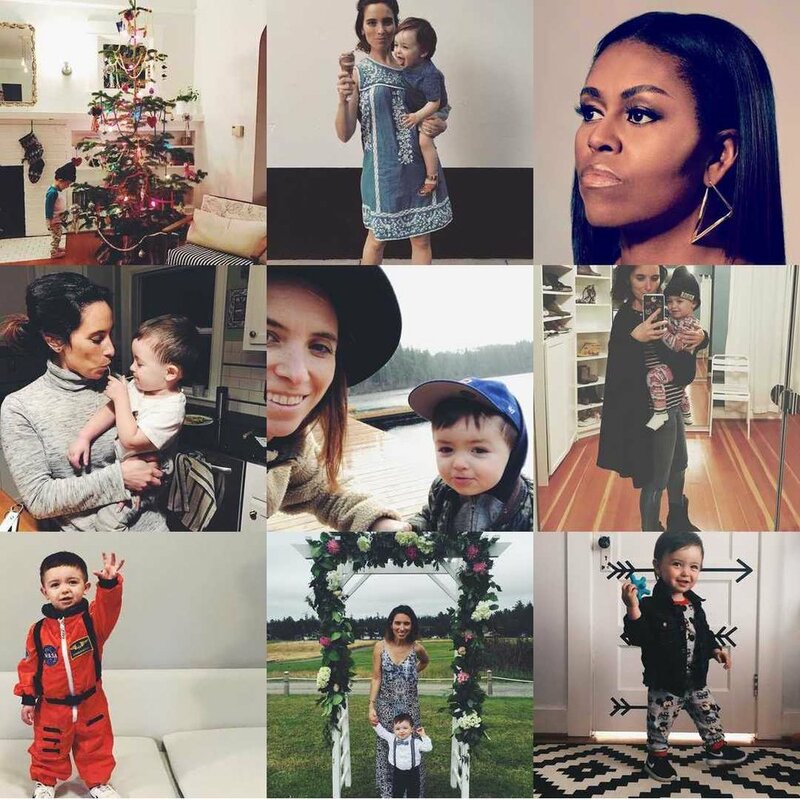 Here we go, favorite blog moments January 2016-December 2016. Reflective posts:'it is 2016' I wrote this almost a year ago exactly. I remember feeling super duper sad about returning to work and this post put some of that in perspective for me. And the post 'girlfriends & deep talks' where I hit on the strong female relationships I am so proud to have. Memento posts: The little posts that capture the sweetness (and sometimes sourness) of a certain stage or moment in time as a Madre. The post 'brothers' makes me all warm and squishy. My post 'momo & me' is a photo diary of sorts featuring just what it sounds like. My 'black lives matter' post is one I also don't want to forget, still love this photo. And as I say goodbye to 2016 through the lens of Making la Madre I leave you with my 'top nine' from @makinglamadre's Instagram, at the top of the page. Thanks for following along friends.